Feedback from a public outreach survey was received and discussed; City Council agenda item concerning pier verified for end of August. REDONDO BEACH —CenterCal’s waterfront project has caused quite a bit of controversy and was recently declared as “dead” by some members of the Redondo Beach City Council. Plans to rebuild Sportfishing Pier at King Harbor, however, appear to be going relatively smooth. City officials met a July 1 deadline to obtain feedback on a survey regarding work on the pier. Previously, Geraldine Trivedi, a civil engineer for Redondo Beach, had said that the largest amount of feedback from voters saw a desire for continued sportfishing-centered activities. Among the other choices of features and amenities on the survey included a focus on commercial operations (water taxis and ferry services) a floating dock for an SUP/kayak launch or dock and dine, a space for special events, outdoor features (fire pits and benches) and building spaces for restaurants and local businesses. 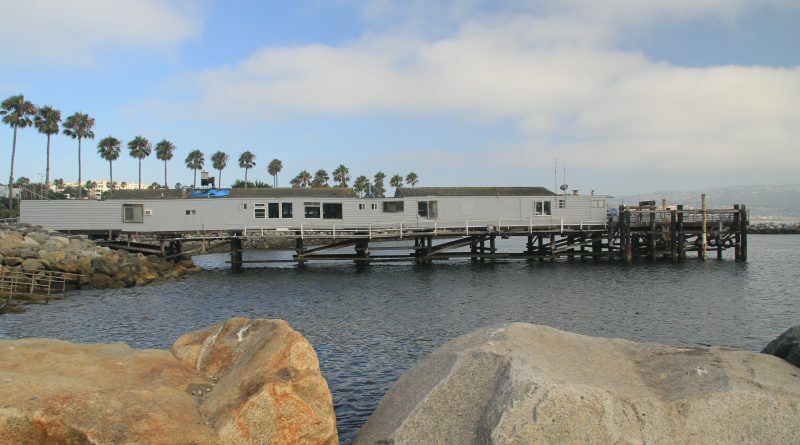 Following the closing of the survey, Redondo Beach Harbor Commission discussed design concepts that could replace the Sportfishing Pier on July 9. Renowned coastal engineering firm, Moffatt & Nichol, will build the pier. The firm, which is responsible for many piers along the coast, has been operating since 1941. The survey findings revealed the most important voted on feature was still sportfishing, following with the pier building, floating dock, public outdoor features and commercial operations in that order with 241 responses in Part A. Part B of the survey revealed similar findings with 40 responses. A final breakdown in Part C of the survey, also with 40 responses, found interactive and educational features ranked highest, closely followed by a restaurant, SUP/Kayak launch, recreational and educational options and dockside access to sportfishing. Live bait, tackle and cleaning tied with dock and dine, both at 9 percent of the votes. Lower on the list were a dinghy dock, fishing and whale-watching charters and public use facilities. Overall, the preferred features were sportfishing, a restaurant, floating dock and outdoor features that included educational and interactive aspects. The secondary uses were commercial operations such as whale-watching and fishing charters with special events such as tall ship festivals coming in at the bottom. Advantages of the sportfishing focus were cited as low initial upfront investment, employment assets for all ages and the chance to promote local business and revenue for the city. The problematic areas were reported in keeping up the ongoing maintenance, limitations of floating dock and boat access and environmental concerns such as pollution and trash. In terms of boat access, the city has been working to add a boat ramp. Mark Hansen, a member of King Harbor Yacht Club and a recreational boater, told The Log he is generally happy with the direction the rebuilding is going and excited about potential new amenities. Three conceptual designs for the pier were also presented. After review, the preferred design is slated to be announced by September. In terms of the physical and environmental constraints involved with rebuilding the pier, building will take into account the Environmental Impact Report (EIR) and local coastal plans. Some of the problematic areas were offshore outfalls, the placement of existing utilities, slope compliances, wave conditions and future sea level rise and marine biological resources. One of the main aims, according to the presentation, is revitalizing “a core landmark” keeping in the “rich maritime tradition” while also paving the path for new recreational activities, local businesses and public spaces. A key component would also be preserving the natural resources and aspects of the seaside community. Trivedi told The Log there could potentially be an item on the City Council agenda regarding the pier project late in the month of August. Redondo Beach’s Sportfishing Pier closed in January due to the decrepit condition. Inspection of the pier in the months of October and November 2016 showed that timber and steel fender piles had serious damage as well as the lateral braces. The City Council, in August 2017, decided to replace the pier instead of repairing the damaged areas.